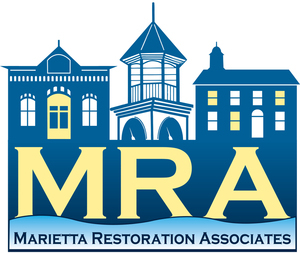 Marietta has been going through many positive changes over the past decade. The inclusion of the trail, the reopening and rebranding of various restaurants, and the opening of various shops and services are just a few examples of these changes. All of these positive changes seem to spark chain reactions among the community and attract more positivity to our little river town, a lesson in mindfulness to be sure. What’s more, all these changes are pretty unique to a town of our size and are something that we should be proud of as a community. One such unique gem, Vital Tree Yoga, acts as a pillar of selfactualization and mindfulness for the community’s residents. 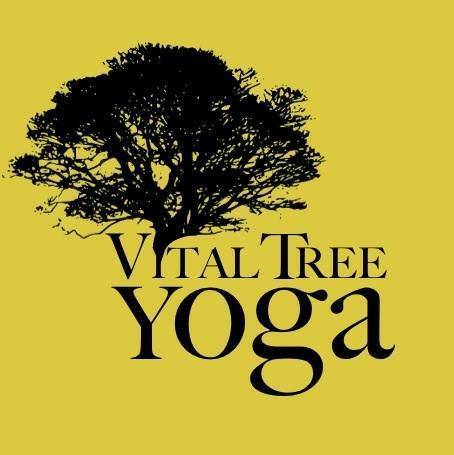 Vital Tree Yoga has been a part of our town for over five years now and continues to grow and impact Marietta by providing a space for exercise and meditation for those ready to take the journey. Wanting to know more and to be able to get the word out to all of you, I set out to interview both the founder of Vital Tree Yoga, Laurie Rinard, and her newly collaborating massage therapist, Karen Umlauf, to learn more about both Vital Tree Yoga and its most recent positive change, the inclusion of Mindful Touch Massage. Both participants were asked the same series of questions which will be highlighted in the following numbered sections. But first- a quick yoga lesson! You didn’t think the Tokens of History writer was gonna let you get away without some high quality background and history, first, did you? Vital Tree Yoga is a center for practicing vinyāsa yoga. The term, vinyāsa, is Sanskrit and has many different meanings and translations, but in yoga it connotes “one breath, one movement” or a fluid and dynamic form of movement where specific positions are generally not held for any great length of time, but are instead transient, thus symbolizing how actions and life itself is a transient art form. 1. How did you start the business? I had taken a 200 hour teacher training in 2012 with Evolution Power Yoga and had taught with them for a year. 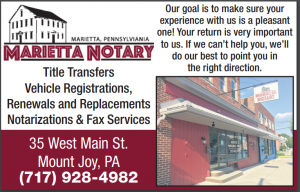 Once back in the area, I started teaching at Marietta Market and Columbia Inn and Breakfast. I had moved the business from bed and breakfast to Swedish Motors on 441 for a year before opening up Vital Tree at the current location. We’ve been here ever since. Well, I was working at McCleary’s at the time and had built a relationship with the town and its residents. I just fell in love with the community. I could tell there was “something special about it,” and that there was “definitely room for more” opportunity. There is a lot of hidden talent and passion in this town. 3. What specific style of yoga do you practice and what are the benefits? I practice Baptiste Power Yoga with a total over 500 hours of co-led training. The term “power” doesn’t necessarily solely mean “physical” but instead is more meant to connote “empowering”. The intention of Baptiste Power Yoga is selfawakening through very athletic routine to give access to higher mind and personal growth. This specific style “allowed me to create my life on purpose.” I aim to pass this knowledge and ability to a self-led life along to my students. 4. What is your experience with the business, thus far? We have a strong community in Marietta. We are very closeknit and support is easily found. Our students feel welcome and up to the challenge that yoga poses them. I have received a lot of positive feedback from the community in general and have worked with many of the local businesses in supporting collaboration and outreach efforts. It hasn’t always been easy, but it has always been rewarding. 5. What would you like to see happen for your business in the near future? My goal is to help establish yoga leaders in the community in order to better create new opportunities for learning mindfulness through practicing yoga. The continuous goal is always finding ways to reach the community and provide avenues for self-empowerment and self-healing. 1. How’d you get started in the business? Upon closing of the bed-n-breakfast chapter in my life, I moved to Maytown and continued my private practice. When I saw on Laurie’s Facebook page that she was looking for a massage therapist, and having already worked with her at the Columbia Inn, it kind of just worked out and we reconnected. “The puzzle pieces fit together,” yoga and massage are like peanut butter and jelly. 3. What is your style of massage that you offer and what are the benefits? I feel that all massage therapists bring part of who they are to their practice, so no two massage therapists are exactly the same. I lean towards the energetic and flow body work, 80% of the benefits of any massage is the relaxation, of getting your body to relax and heal itself. Just getting into the sympathetic state is a BIG component of massage. I mainly use Swedish (long strokes), connective tissue (slow strokes) massage, Reiki and polarity energy work, and some Thai yoga massage. In my opinion, massage goes hand in hand with yoga because of the low slow flow of breathing that is the foundation of yoga. I feel very positive about the future prospects. Being at the center of all the activity with the bike trail and the river and the new bike shop, there is a lot of potential for providing positive impacts to the everyday life of our community. 5. What would you like to see for the business in the near future? I would love to see aromatherapy and wellness workshops. The potentials are limitless! You can find more information on Vital Tree Yoga or Mindful Touch and Doula Services at their respective websites, vitaltreevinyasa.com and mindfultouchbykaren.com. A veritable pearl in Marietta’s marketplace, Vital Tree Yoga is here for you and your well-being now with massage services offered at your request. You can “spa out in Marietta” while staying at one of our town’s featured bed-n-breakfasts, just chillin’ in town for the day, or are a resident townie looking to exercise (literally and figuratively) away any built up tension that life just loves to throw at us to build our character. Like how the Susquehanna works to build its canyon, it’s all in the flow. Who knows what is in store for our community’s future? I feel the change of pace quickening as does my pulse with exhilaration and expectation. The river is a gem that we are thankfully able to benefit from. Let us take benefit of the other gems in our awesome little river town! Next Post: Chowderfest is back and getting better than ever.